Let's face it; leadership has its challenges. When you get knocked down, you need a reliable system you can easily access to help you regain your footing and your confidence. Within the minutes of Mastering Confidence, you will discover such a structure. In truth, you already have this tool; you just need to uncover it. 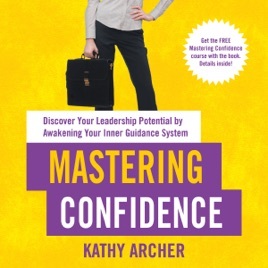 In Mastering Confidence, you will learn to awaken your Inner Guidance System and boost your confidence, giving you the strength to get through challenging meetings and difficult conversations. When you use your Inner Guidance System, you'll not only feel more confident; you will begin to lead with purpose. Finding yourself back in control, you can once again enjoy leadership and life. Practical and easily doable exercises that will help turn us crazy perfectionists into truly confident leaders!